When it comes to making the most of your remodel dollars the usual places that people put that money is in the bathroom and kitchen remodel projects. While these two rooms do have some of the best ROI for remodeling there are other things that you can do to add value to your home. 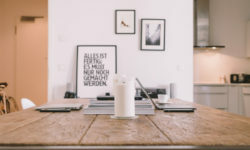 In this article I’ll go over some tips on simple home remodel projects that can increase the value of your home and most can be done in as little as a few days. 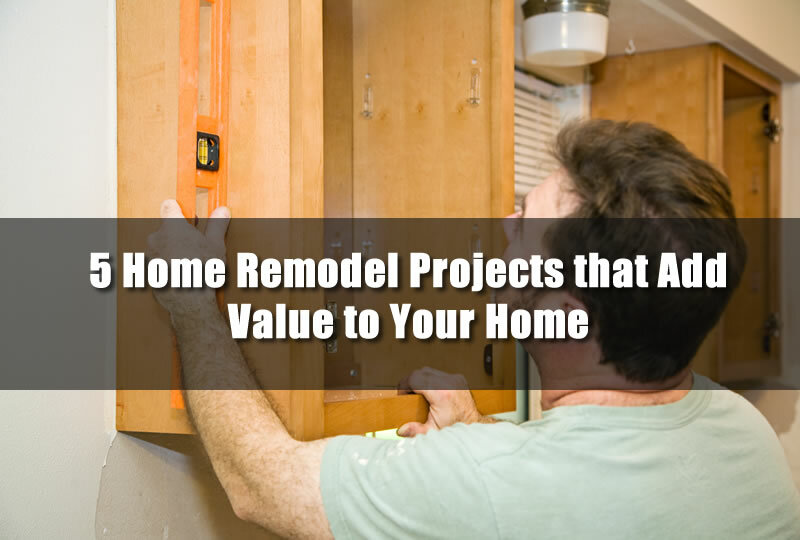 There are many home improvement projects that you can do around your home to increase it’s value. From adding some flowers in the landscaping to adding a ceiling fan in your living room. 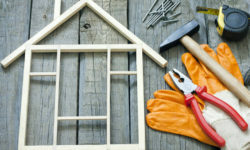 There are many small home remodel projects that can really make a difference on the value of your home. I’ve listed some of the more popular below that can add value as well as adding curb appeal to the home. The following tips are not in any specific order and may be focused on Michigan homes. With summer just around the corner it’s time to start thinking about firing up the grill and having a barbecue. Of course to do so you’ll want a place to relax while the burgers are cooking. One way to add value to your home is to add an outdoor living space. A place where you can go outside and relax and enjoy the evening. Patios can work great for this as well as covered porches on the home. You may also way to add a brick pavers patio with a walkway as well to give the backyard a more defined look. Although a full kitchen remodel can certainly add value to your home you may be able to only do part of the kitchen remodel. Consider upgrading your cabinets to more modern looking cabinets. You can also replace any hardware and pulls that seem dated. Usually any home remodel project in the kitchen area will increase the home’s value. Consider upgrading your cabinets to more modern looking cabinets. You can also replace any hardware and pulls that seem dated. Usually any home remodel project in the kitchen area will increase the home’s value. Are you tired of the same color day in and day out in your home? Painting areas in your home is a great way to update the look and you can paint in almost any room in the home. Consider adding patterns as well to give rooms more of a character look. Nurseries and child rooms can be painted bright, happy colors and adding huge stickers on the walls can be amazing for children. Another place in the kitchen that you can upgrade that can have a huge affect on the home’s value is the appliances in the kitchen. Stainless steel appliances are now trendy and in demand from most home buyers. Consider adding upgraded appliances in your kitchen to increase the home’s value. The other appliances that seem to increase the value of a home tremendously is hidden appliances that are behind cabinet doors and such that they are completely hidden from sight. You may want to show the world a great view of your home but you may need to upgrade the windows in your home first. Adding energy efficient windows to your home can greatly increase it’s value. Not only that but you can also save money on your energy costs with new replacement windows in Michigan. There are many different styles and materials that are now available. In fact, the home windows in your home has a large effect on the home’s value and replacing them with newer energy efficient models can raise the home’s value. While painting the home may be a do it yourself project most of the home remodel projects listed above should be done by properly qualified contractors. To get a free estimate for any of the above projects in the southeast Michigan area be sure to visit All Point Construction today.